For years, the Hungates and the Harrisons have coexisted peacefully in the same Long Island neighborhood, enjoying the pleasures and weathering the pitfalls of their suburban habitat. But when the patriarch of one family dies unexpectedly, the survivors face a stark imperative: adapt or face extinction. In sixty-three interlinked vignettes and striking accompanying photographs, the novella cuts multiple paths--which can be reconstructed in any order--through the lives of its richly imagined characters. Part art object, part Choose Your Own Adventure, A Field Guide to the North American Family is an innovative and deeply personal look at the ties that bind, as well as a poignant meditation on connection in a fragmented world. 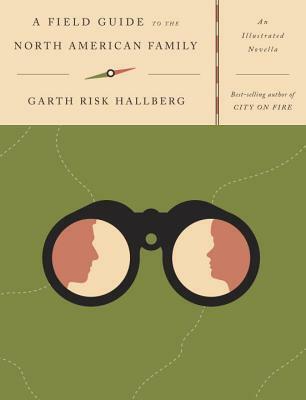 GARTH RISK HALLBERG's first novel, City on Fire, was a New York Times and international best seller, has been translated into seventeen languages, and was named one of the best books of 2015 by The Washington Post, Los Angeles Times, San Francisco Chronicle, The Wall Street Journal, NPR, and Vogue. His short stories have appeared in Prairie Schooner, Glimmer Train, and Best New American Voices 2008, and he has written critical essays for The New York Times Book Review, The Guardian, The Millions, and Slate. A two-time finalist for the National Book Critics Circle's Nona Balakian Citation for Excellence in Reviewing, he lives in New York with his wife and children.